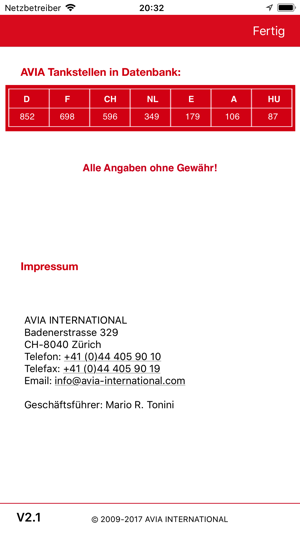 Get AVIA on your iPhone or iPad now! 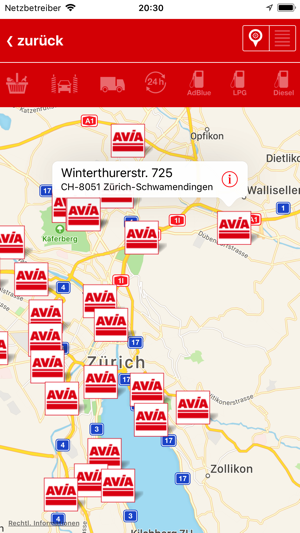 You can use this application to find up-to-date detailed information on over 2,700 AVIA service stations in Switzerland, Austria, Germany, Spain, France, the Netherlands and Hungary. 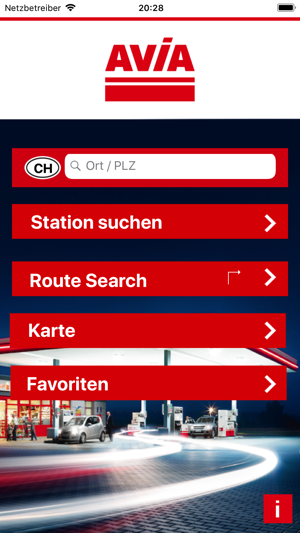 There are various options for searching for service stations: A periphery search around your current location, by entering the place name or the postcode. 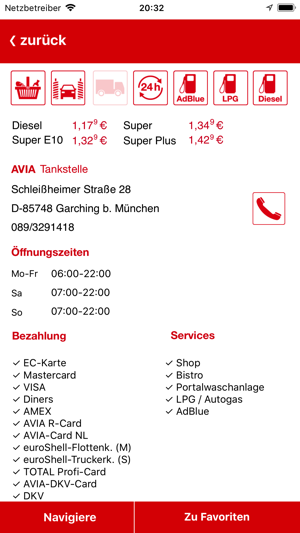 As its strong point, the app, as well as information on addresses also provides information on opening hours, fuel and credit cards accepted, service features at the station and current fuel prices if available. There is the option of creating a favourites list of stations often visited on the start page for faster access. An Internet connection for calling up the current station information and a GPS signal are required for the peripheral search. All information is supplied without guarantee! Fuel prices indicated on the station’s forecourt are binding. Il ne fait pas la Belgique trop naze !!! Wanneer komen de Belgische AVIA-tankstations?